Are you a gardener? 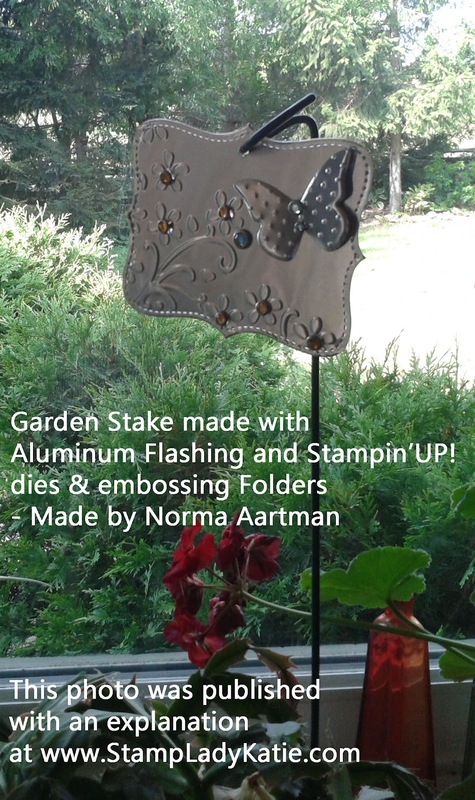 Maybe you like to decorate your flower pots with pretty garden stakes. 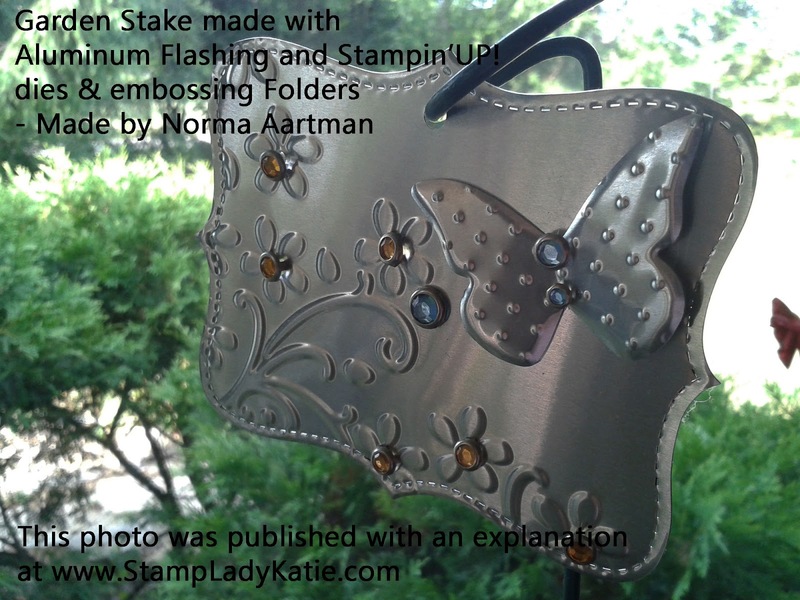 Check out this gorgeous embossed garden stake made by my fellow demonstrator Norma Artman. First let me say how much I love being part of an active Demonstrator group. We meet on a regular basis to exchange business ideas and stamping ideas. It has been great training for me to grow in my stamping skills and to grow in my understanding of what it takes to make money as a demonstrator. The support goes both ways. I gain from my association with these ladies. But I also turn that around and support the people who have chosen to join my team. The support is face-to-face and its also online. 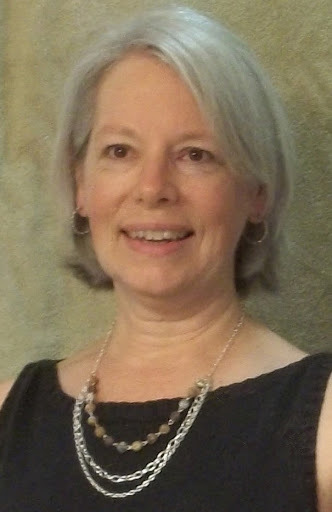 I meet regularly with my downline, but I also maintain a Yahoo Group site filled with business documents and project how-to's as well as photos from our face-to-face meetings. 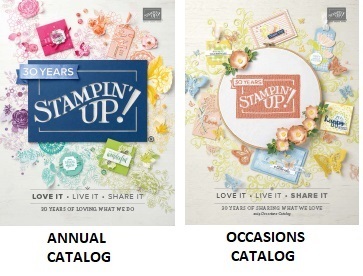 There are many great reasons to buy the Stampin'UP! Starter Kit. First, its only $99 and its completely customizable. And, when you choose your product you get to choose $125 worth of product while you only pay $99. That alone is reason enough to buy the kit. It also comes with $65 worth of FREE business supplies. And here is my guarantee, if you don't make back your $99 investment in your first year with Stampin'UP! 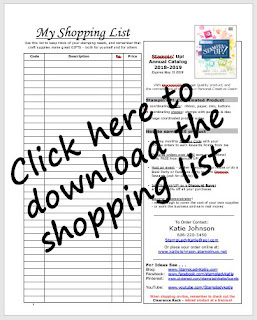 I'll buy the unused business supplies from you - and you didn't even pay for them! That's how confident I am in this business. And lots of support from ME! Call (608.220.3450) or email if you'd like more information. Whether you are local or not you'll have lots of support as you start your business. Business or Hobby? Whether you want to start a business or just get the discount, when $99 = $125 it totally makes sense to buy the Starter Kit! Yep, thats right! You can buy the starter kit just for the discount, there is no obligation to do anything at all with the business. Again, contact me with questions. Or click here to get your $125 for only $99 now. 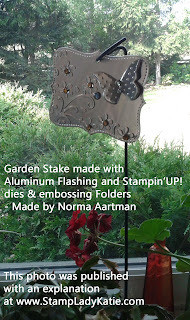 OK - Back to the Garden Stake: Norma used Stampin'UP! 's Top Note die (#113463) and Beautiful Butterflies Die (#114507) to cut the shapes. The Butterfly was embossed with the Perfect Polka Dots Embossing Folder (#117335) and the Top Note was embossed with Elegant Bouquet Embossing Folder (#115964). She decorated the piece with colored Rhinestones. TIP: Did you know that you can color Stampin'UP! 's Rhinestones (#119246) with a Sharpie Marker. Have you been patiently waiting for me to tell you what material Norma used? It is Aluminum Flashing which you can buy at the hardware store. Amazing that you can not only die cut it but also emboss it. Maybe you wonder why she gave away such a wonderful project. This was her trade to the members of our group at convention last year. There is a whole group of us going again this July and I can't wait to see what Norma comes up with this year. Just 1 more "perk" of being a demonstrator in MY group. Remember, if you buy the kit in June you get the Free Stamp Set, Designer Paper and digital download too. Stampin'UP! is a great company and you'll love the discount.